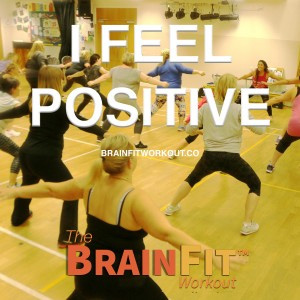 The Brainfit workout is a stress reducing positivity workout utilising movement, music and meditation with powerful affirmations. We know that Stress is the major culprit in the onset of health problems and diseases. It’s also the reason many people are unable to lose bodyfat, especially around the mid section. Negative thought patterns and self talk affects the whole body chemistry so The Brainfit Workout™ helps retrain that inner voice using powerful affirmations. The Brainfit Workout™ is truly the next generation of Group Fitness class fusing beautifully mind, body and spirit. * You battle negative self talk. * You are suffering from psychological stress or physical stress. * Need to lower the fat storing and stress hormone Cortisol. * Want a softer approach to fitness. * Want a holistic approach to health and fitness. * Enjoy having fun in a group exercise class. What Will You Get From Attending The Brainfit Workout ™? * De stressed and super positive. * Have vision and clarity. * Chilled out and focussed. * Increased power and self awareness. Try the new age in Group Exercise. 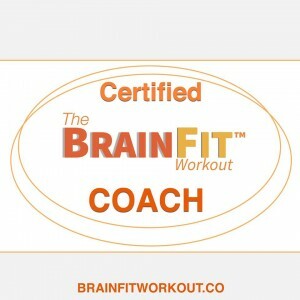 Anyone of any age and any fitness ability can join in The Brainfit Workout™ class.